I survived the 2nd Annual LA Weekly Pancake Breakfast. Who is The Tasty Chronicles? 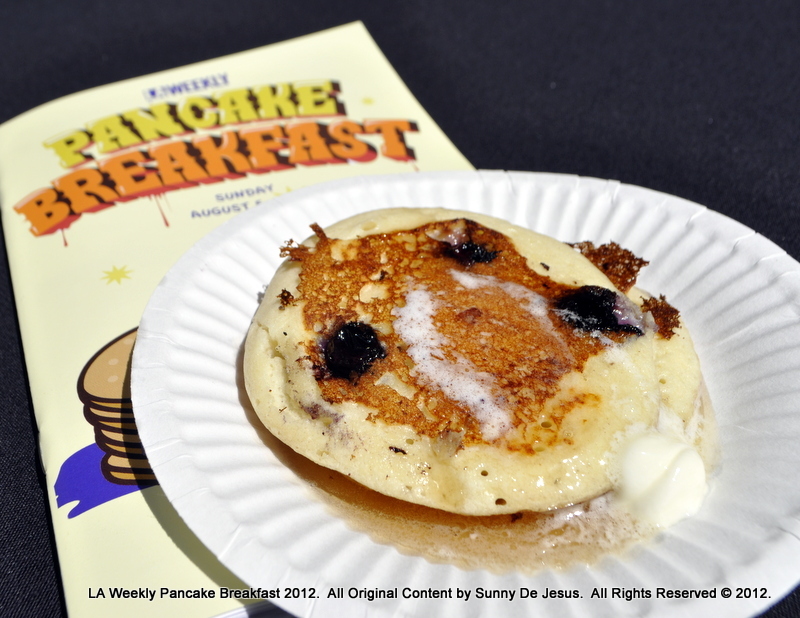 In case you missed it, the 2nd Annual LA Weekly Pancake Breakfast was today at the Vibiana in Downtown Los Angeles. This food event was like the Olympics of Pancakes as there were lots of sweet and savory pancakes vying for your appetite. I admit that I starved enough last night and this morning in preparation of this food event. The minute the event doors opened, it was a friendly race to get to the food and drinks. The pancake that won my gold medal was the Blueberry Ricotta Pancakes from BLD Restaurant. Kobawoo House swept my silver medal with their trio of savory Korean Pancakes. The bronze medal finish goes to Gottsui for their lively energy and a wonderful Okonomiyaki pancake. Of course, there were plenty of other great breakfast items like Nickel Diner’s Maple-Bacon doughnut hole and other breakfast bites. I was just as delighted with breakfast treats from The Village Bakery and Cafe. Hmmm, now that I have thought about this event more, everyone was a winner at the pancake breakfast event. Enjoy the photos! I’m going to take it easy for the rest of today. Yep, the food coma has finally kicked in. Previous Sissy’s Uptown Cafe – A go-to place to grab a bite to eat, because the Winemakers in Lompoc said so.